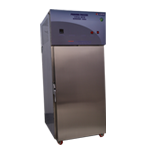 Meghdoot Refrigeration Industries Pvt. 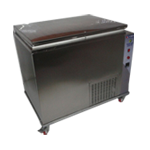 Ltd.
Honeydew Chilling Units are one of the most reliable and heavy duty made in the Industry. Our special heavy graded copper in the evaporator and extra row in the condenser gives the extra chilling to the water even during the hottest of the ambient. We have entire range from 1.5 Ton to 10. Ton chilling units with the option to have them in full SS 304 Grade also. 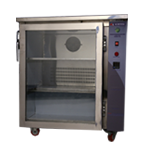 Total sample protection and integrity are as important to us as they are to you, which is why we continually strive to provide the most elite line of low temperature freezers . 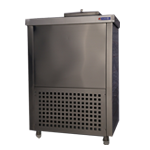 Rounding out our portfolio, we offer three compact low freezers which includes a portable unit for field transport and a stackable unit for space-saving capability. 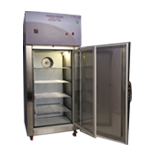 Our selection of laboratory freezers, are equipped to store a number of samples within a variety of applications from general storage, plasma and test samples to biologicals, temperature sensitive materials, reagents and other media. 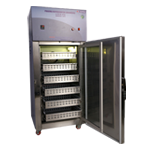 Our Table top cold storage consists of a 4/7 cu ft med temp chillers designed to store critical samples at temperatures of 2 to 8*C.
Our selection of laboratory refrigerators are equipped to keep an average temperature at +4°C while storing all different types of samples from reagents, whole blood and culture media to test samples and biologicals. Copyright © 2015 Meghdoot Refrigeration Industries Pvt. Ltd. - All rights reserved - Designed by DreamSoft IT Solutions Pvt. Ltd.